The federal law was changed in May 2018 with the U.S. Supreme Court’s repeal of PASPA, the federal law prohibiting states from legalizing sports betting, and Gray, just hours following the Supreme Court decision, stated he wanted to push forward with a sports betting amendment to the state constitution. "All other gaming activities in California are subject to regulations that ensure the safety of consumers," said Gray in a press release. "Sports wagering should be treated no differently." Currently, California has a voter referendum pending on whether to legalize sports betting but will not be on the ballots until 2020. However, there are no state laws prohibiting the placing of a wager at a legally licensed, offshore online sportsbook. Below are the brands we’ve reviewed and guarantee are 100% legal, safe and guarantee payouts for winning bets. 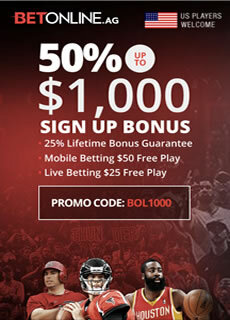 Betonline is one of the top shelf sports betting sites in the industry and our top recommended online sportsbook. With only a handful of truly 5 star sportsbooks available to US players, Betonline is right at the top of that list. They offer all sorts of action for players under one betting account to include one of the best sportsbook platforms around, a full racebook, a busy online poker room with tons of fish, and an online casino featuring live dealer table games. They even offer scratch cards and skill games, so whatever you're in the mood for, Betonline has got you covered. New players enjoy a 50% signup bonus up to $1,000, plus 25% reload bonuses for life if you aren't running so hot. With California’s obvious interest in the online gambling platform and silicon valley being one of their claims to fame, it would be logical to assume that state-licensed online sports betting is on the horizon for the Golden State. Despite California’s openness to online betting, there are not any regions in the US that can legally allow state-regulated online sports betting to operate within their borders, no matter how willing or technologically advanced they are. The DOJ’s 2011 formal opinion hammered the final nail into that coffin when they clarified that the Federal Wire Act makes it illegal for any type of US-based online sportsbooks to accept bets from the nation’s citizens. Unfortunately, we do not anticipate any changes taking place concerning the federal laws that govern sports betting in the United States. Despite many leaders of various professional sports leagues calling for changes, and the controversy surrounding DFS contests and their resemblance to sportsbook gambling, the feds are a tough nut to crack. The good news is that sports fans in California are not reliant on a state-regulated version of sportsbook gambling in order to enjoy this form of betting entertainment. There are viable and legal alternatives that offer sports betting options to bettors in California and the US in general. The one thing that the Federal Wire Act did not achieve was preventing US residents from legally betting on sports at licensed offshore sportsbooks offering their services online. California’s gambling laws also do not prevent residents from enjoying online sports betting at legitimate bookmakers located outside of the US. This means that betting on sports at offshore online sportsbooks that are legally licensed and regulated is not a violation of any state or federal laws. The legitimate online sportsbooks you see listed in this guide legally accept customers from California and include coverage on a wide range of sports categories, a strong selection of betting lines and wagering options, with odds and pay lines that are easily comparable to the Vegas bookmakers. As part of the United States, California is certainly subject to the federal regulations against gambling. Since PASPA's repeal, there are two still main pieces of legislation which are working together to enforce federal law in California: The Federal Wire Act, and the UIGEA. Together, these federal gambling laws combine to restrict domestic online sports betting in the US. The good news is that none of these laws prohibits California residents from placing bets on sports at legally sanctioned offshore sportsbooks that accept American bettors. These laws do not extend to gambling businesses located outside of United States jurisdiction, therefore any casino or sportsbook or other gambling location to open up outside of the US is perfectly legal to gamble with as long as they possess the appropriate regulatory oversight and licensing to allow them to operate legally within the industry. It is important to understand that the federal government does not punish the act of gambling itself; they instead punish the act of offering unregulated gambling services. 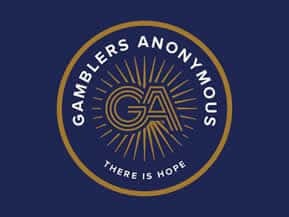 So, as long as you want to gamble, the government will not stop you, providing that you're gambling with a licensed site that is outside of the United States' jurisdiction. There's really nothing they can do to stop you from gambling at any of the online sportsbooks accepting USA players that we recommend. According to the Constitution of California, the state has the right to allow state lotteries, certain types of horse betting, and a variety of casino games that are operated on tribal lands. Other than that, the state is pretty much at the mercy of the federal government and its regulations against gambling. Gambling that is legal in California is regulated by the California Gambling Control Commission. This is a commission that basically oversees the different lotteries and horse betting options. Anyone interested in reading the entire range of gambling legislation can do so from the Commission's website, but everything is basically straightforward. The language of the law explains how California has the right to control lotteries, horse racing, and then allow for Indians to have their casinos, while every other type of gambling is basically illegal. There is some stuff in there specifically aimed at Internet sweepstakes in certain cafes and other odds and ends, but nothing that pertains to the whole of the state or an activity like sports betting. Unfortunately, betting on sports is something that is expressly prohibited in the state, unless you either find sports betting options at an Indian casino or sign up with a sportsbook that's located offshore, outside of US jurisdiction. So, for future reference, remember that gambling in California is legal for the lotto, horse betting, and on Indian casinos, while anything else that is based within state lines is illegal. However, finding a licensed gambling site outside of US jurisdiction with which to bet is the backdoor you need to gamble legally and freely on any sport you want. You can learn more about which states offer legal online sports betting here. With a population of nearly 40 million people, the Golden State has 16 professional sports franchises across the four major professional sports (NFL, NBA, MLB, NHL), which is more than any other state, along with 4 college football teams (Cal, Stanford, UCLA, USC) in a Power 5 Conference (Pac-12). In addition to the numerous sports teams, 14 Heisman Trophy winners were born and played high school football in the state with football talent such as O.J. Simpson, Marcus Allen, Ricky Williams, and Carson Palmer. Currently, California is in the process of building the Los Angeles Stadium at Hollywood Park located in Inglewood and will be the most expensive stadium complex ever built with construction cost (including development) valued at $4.963 billion. The stadium is scheduled to open in 2020 and will be the home stadium for both the L.A. Chargers and the L.A. Rams football teams. In addition, the stadium will host several events, including Super LVI in February 2022, the College Football Playoff National Championship in January 2023, and the opening ceremony and sporting events for the 2028 Summer Olympics. California is currently home to four NFL teams and have won a combined nine Super Bowls between them (49ers have 5, Raiders have 3, Rams have 1, Chargers have 0). The Rams are the most recent addition, moving back to Los Angeles before the 2016 season after leaving after the 1994 season. The Chargers remained in the state but moved from San Diego to Los Angeles before the start of the 2017 season. The 49ers recently built Levi’s Stadium and have called it home since 2014. However, the Raiders are leaving Oakland following an announcement in 2017, making Las Vegas, Nevada their new home and will move when the new stadium has finished construction in either 2019 or 2020. The Chargers enter the season as the favorite to win the AFC West by many experts and a potential dark horse to win Super Bowl LIII, and it’s not hard to see why. The offense is loaded with playmakers like RB Melvin Gordon and WR Keenan Allen, so this may finally be QB Phillip Rivers year to win it all. The real question is whether the run defense can improve, ranking 31st out of 32 teams in 2017. If they can fill this gaping hole, the Chargers could be a team to watch out for. In the 2017 season, the Rams had one of the best defensive lines in the NFL, led by 2017 Defensive Player of the Year Aaron Donald. As good as the D-Line was, it still allowed 4.7 rushing yards per carry to opposing teams, which is why the team signed pro bowl nose tackle Ndamukong Suh in the offseason, making this D-Line even scarier to play against. RB Todd Gurley is likely to be an MVP candidate again, so the success of the Rams falls on QB Jared Goff taking the next step. Sportsbooks believe the young QB will do just that, having the Rams as one of the top 2-3 favorites to make it to the Super Bowl from the NFC. After a disappointing 2017 season, finishing 6-10, the Raiders fired head coach Jack Del Rio and hired Jon Gruden, Super Bowl-winning head coach, and ESPN and Monday Night Football analyst, signing him to a 10-year, $100 million contract, one of the biggest contracts ever for an NFL head coach. His job is simple: Rebuild the Raiders and win Super Bowls. Is that reasonable to expect in 2018? Not likely so don’t expect much success this season, but the future seems bright for Raider Nation. In October 2017, the 49ers acquired QB Jimmy Garoppolo in a trade from the New England Patriots and had a 1-10 overall record before their new QB took the field. Garoppolo started the last five games of the season and won all them, and the 49ers finished with a 6-10 record. 49ers fans and many experts have high expectations coming into 2018. However, using five games is too small of a sample size to predict the success of a quarterback and team, so it might be best to wait and see how the 49ers play before placing a wager. California has long had a love affair going with the NBA. Since the 1980s with Showtime with the Lakers, Cali has been head over heels in love with the National Basketball Association. And, surprisingly enough, it's been teams other than the LA Lakers who have really captured Californian hearts of late. There are four professional NBA teams in California: The LA Lakers, the LA Clippers, the Sacramento Kings, and the Golden State Warriors. The Lakers, far and away the most famous team, has really taken a hit of late. Other than Kobe Bryant, the organization is a mess. No coaching, no bench talent, no motivation; they finished far out of playoff contention last year, and probably will again this year, especially considering Kobe's far too old to stay healthy for an entire season. The Kings are a step above the Lakers, but that step doesn't really take them anywhere. They may be coached by George Karl, a surefire Hall of Famer, but their roster consists of one star, DeMarcus "Boogie" Cousins. They have good role players, like Rudy Gay and Ben McLemore, but the NBA Western Conference is brutally competitive, and the Kings simply cannot compete with the other talent inside of California, much less inside the NBA. Next up on the list in terms of how well they're going to do, you have the LA Clippers. This is a very exciting team to watch. 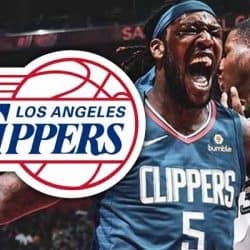 Doc Rivers is a tremendous coach, Chris Paul is the best point guard in the NBA, Blake Griffin is a superstar who can dunk from practically anywhere, and DeAndre Jordan is a big, mean, legit 7-footer who can ball. They haven't been able to get over the hump in the playoffs, but their off-season acquisitions include Paul Pierce, which may help them best the West en route to the Finals. They're definitely a smart pick for basketball lovers. Last but certainly not least, you have the cream of the entire NBA, last year's champions, the Golden State Warriors. With Steph Curry, Klay Thompson, Drawmond Green, and Andre Iguodala, this is a very young basketball team that can flat-out shoot! They're also very solid defensively. Combine those two aspects, the ability to score and the ability to stop other teams from scoring, and you have the makings of a potential repeat champion. They will have to get through the West again, which will probably include teams like the Spurs and Clippers, neither of which the Warriors faced last year. But smart money is on Golden State at least coasting to a 2-seed and the 2nd round of the Playoffs. Californians also love their baseball, evidenced by five different MLB teams within the state. People in the state have almost three full seasons to watch baseball, from the start of April to the end of October. California's MLB teams include the Los Angeles Angels of Anaheim (LA Angels), the Los Angeles Dodgers, the Oakland Athletics (A's), the San Diego Padres, and the San Francisco Giants. Of all these teams, the A's unfortunately have the best track record for winning the fewest games. Although they're perhaps one of the most famous teams, because Billy Bean and the Brad Pitt movie Moneyball, they always seem to be out of post-season contention, usually trading away any star player they have to stay married to their analytics system, a system that has not rewarded them with a championship. It wouldn't be smart to chase the A's around with betting this season. The Padres and the Dodgers are two very solid baseball teams in the state, but neither one of them are really contenders for the World Series. They contend in their respective divisions, and there's always a chance that they will make a late-season run, but they're basically middle-of-the-pack teams compared to the others in California. The top two teams are the Angels and the Giants. Each of these teams can be a World Series winner any given year. In fact, some refer to the Giants as a dynasty. Although they can't seem to put together back-to-back wins, they seem to win a World Series every two to three years, and they do so by having the best pitching in baseball. The Angels are a streaky team, but they can easily plow through the American League en route to a Series berth. If Californians are looking to put their money down on in-state baseball teams, it should be with the Angels or the Giants. They're the two best the state have to offer. 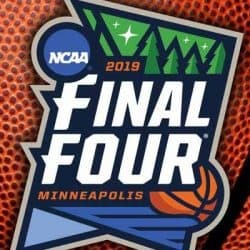 There are four major universities (Cal, Stanford, UCLA, USC) in California who play in a power 5 conference (Pac-12) for both college football and basketball. Both Cal athletic programs have produced some of the best talent in sports history including NFL QB Aaron Rodgers, TE Tony Gonzalez, RB Marshawn Lynch, and Head Coach Herm Edwards. Stanford football also boasts talent such as Hall of Fame QB John Elway, SS John Lynch, QB Andrew Luck, and DB Richard Sherman. UCLA has produced Hall of Fame QB Troy Aikman, RB Maurice Jones-Drew, and 2018 first round pick QB Josh Rosen. 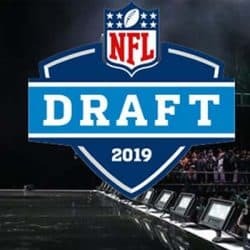 USC has been a dominant force in college football throughout history, winning 11 national championships having more players selected in the NFL Draft (506) and more in the first round (81) than any other school in the country. Cal fired Head Coach Sonny Dykes after going 5-7 in 2017, replacing him with the defensive coordinator from Wisconsin, Justin Wilcox. Wilcox will likely give the team a boost on defense (Wisconsin had a top 10 ranked defense in 2017), but he’ll need a couple years to recruit and adjust to coaching both sides of the ball. David Shaw is one of the best coaches in college football, consistently finishing in the Top 25 on a regular basis. However, betting on them winning the CFP national championship is a likely outcome but winning the Pac-12 is a real possibility. There are high expectations for the return of Chip Kelly to college football after UCLA hired him during the offseason. Kelly is one of best offensive minds in football so expect the Bruins to light up the scoreboard this year, but he’ll need time to recruit players before turning UCLA into a yearly contender. The Trojans will need to find a replacement at QB following Sam Darnold being picked 3rd overall by the Jets in the 2018 NFL Draft. J.T. Daniels will most likely be the starter at QB but placing a bet on a team with a cloud of uncertainty hanging over them is never a wise decision. Your sports betting options in California don't stop where this article ends. California also has multiple professional hockey teams, professional soccer teams, and plenty of other collegiate teams that are always in contention in certain sports, like field hockey, volleyball, etc. What we aimed to cover throughout this article were the most popular sporting franchises in California. And we touched on quite a few. However, when it comes to the options you have available for betting on sports, there are dozens of alternative routes you can take. Not to even mention literally hundreds of collegiate athletic programs outside of Division 1 contention, including D2 through NAIA. So, you're not without a slew of options here when it comes to sports betting. No matter what you want to bet on, you can find options.